The Planning & Zoning commission voted unanimously on Thursday to implement changes to the R-6 Zone regulations. 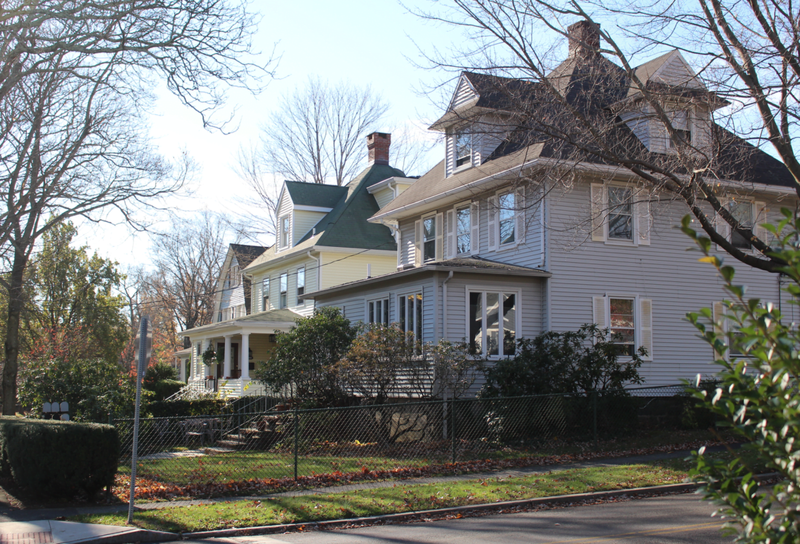 There are R-6 Zones in Byram, Chickahominy, Cos Cob and parts of downtown Greenwich, including Milbank Avenue where regulations will now only allow single and two-family housing. For a year, Planning & Zoning staff had public hearings and workshops. They also hired an outside consultant, BFJ Planning, before proposing the changes. P&Z director Katie DeLuca said the goal of the changes was to balance redevelopment with preservation of neighborhood character and streetscapes, and conform with recommendations of the POCD (Plan of Conservation and Development). 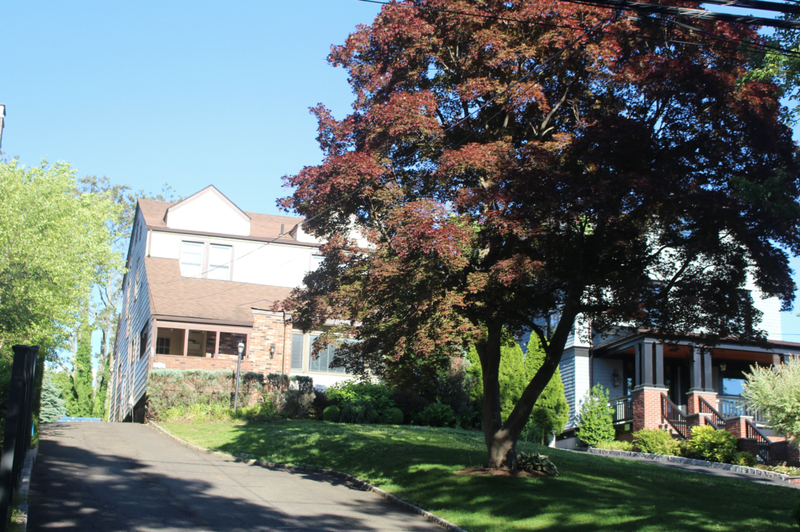 DeLuca said R-6 neighborhoods feature walkable, tree-lined streets inhabited by deep rooted families, many of whom pass their homes down from generation to generation. The R-6 zones feature many historic homes that are a source of pride to the community. Photo: Some of the streetscape on Milbank that remains intact. The R-6 zone comprises 2,841 lots in the neighborhoods of Byram, Pemberwick, Chickahominy, Cos Cob, and areas of central Greenwich including Milbank Ave. The R-6 is primarily single- and two-family homes (73%). Multifamily homes have been permitted in the R-6 zone, which are defined as three-family or larger developments. Three-family and four-family homes comprise 8% of R-6. The rest are a few vacant lots, 5-family or more developments, institutional uses like churches and municipal uses like parks and schools, or legally non-conforming uses like business uses. DeLuca said that complaints about the R-6 Zone have focused on the teardown trend and the bulk and size of new construction. Other complaints included the clearing of trees and, in some areas, the combination of lots for large-scale multi-family developments. Further, there have been complaints about the costly application process and inflexible parking regulations. Other complaints have included loss of green space, drainage concerns, excessive excavation and filling of sites, and over-development on undersized lots. In order to address some of these complaints, in 2010 Planning & Zoning began to require special permit approval for conversion to or creation of two-family home. However, that gave rise to complaints that of a costly and lengthy process, and deterred two-family developments in favor of multi-family developments. A few people spoke during public comment on Thursday, mostly in favor of the changes. During comments from the public, Tom Silverstein of 137 Milbank Avenue, said he had been notified by letter that his next door neighbor at 141 Milbank Ave had put in an application earlier that day for a site plan and special permit to develop his property, which is currently a single family house with grandfathered dentist office. “If you pass these regs that are proposed tonight, will their plan be subject to these new regulations or the old regs?” he asked the commission. In recent months many applications to develop multi family housing have come in before the regulation changes and are grandfathered in. Examples include the one at 141 Milbank, as well as a development on Field Point Road, and another on St. Roch Ave.
“That’s one of the reasons we’re trying to shut the door,” commissioner Andy Fox said. “I applaud your sensitivity on trying to preserve the continuity and character and reduce or diminish out of scale development,” Silverstein said. “We’re sitting her watching the character of our block be destroyed,” Silverstein said. The Maples on Milbank, 151 Milbank Avenue, features four luxury townhouses. The development replaced a single family home. A year ago, at a June 2016 P&Z meeting Mr. Maitland pointed out that diagonally across from 169 Milbank Ave, the transition to multi-family development began when Meadgate condominiums that replaced the former YWCA. “That probably didn’t set as good a precedent as it could have,” said Thomas Heagney, an attorney who has represented most of the developers on Milbank Avenue. Heagney was formerly a member of the Planning & Zoning commission. Judson Van Ingen of 20 Hawthorne Street in Pemberwick said two recent condo developments in his neighborhood are out of scale and have no character. “The density is ridiculous when you look at the neighborhood,” he said, adding that a condo project on Almira and Weaver Street has no character at all. 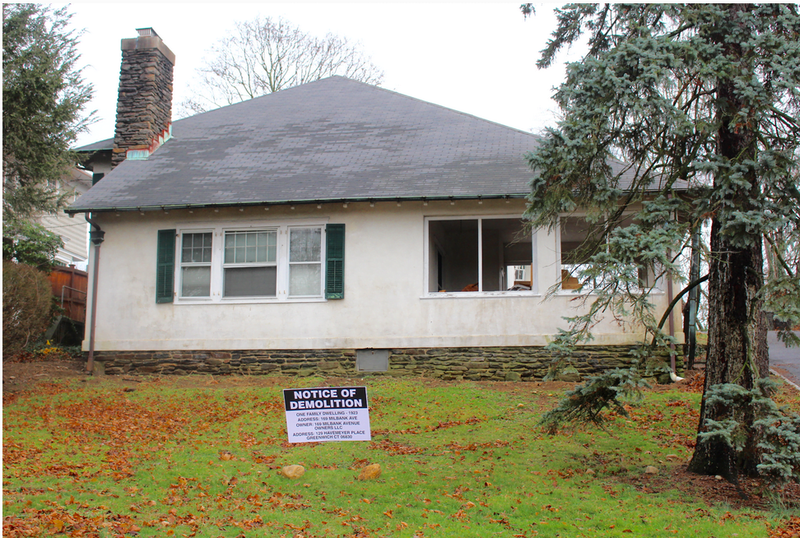 Another longtime R-6 resident, Dan Natale of Byram said there were several 5-unit buildings in his neighborhood and that it would be unfair to him that he will not be able to do likewise with his property. “Back in the 60s they made condos to the side and rear of me, but if I want to do condos now, I can’t? If I want to do three units I can’t?” he asked. Macri said the new regulations address over-development and destruction of neighborhoods. “You see this on Milbank where you had a series of houses on oversized lots. Someone does the research, comes in, bought them up, tore them down, puts in 5 units and now we have lost the character of blocks of our downtown area,” Macri said. 1) 6-13 – eliminate the restriction of window wells in green area. 2) 6-98 – eliminate the need for a special permit in favor of an administrative review for instances where development is on properties that meet the minimum lot size, do not require a variance, and do not require cross-easements (for site access, circulation or drainage). 3) 6-98 – eliminate multi-family (meaning 3 family or more) in the R-6 zone and only permit it in the R-MF zone. 4) 6-155 – reduce the on-site parking restrictions by allowing tandem parking spaces and no longer require that cars must be able to turn-around on the property; in other words allow back-out onto local roadways. 5) 6-205 – Eliminate the need for a variance within the same block where there are three or more principal buildings that share non-conforming setbacks. The best example of this is North Water Street where homes on the western side of the street have non-conforming setbacks due to the river in the back. DeLuca gave a thorough back story to the process and said that during a year’s worth of workshops, some people worried that the change would reduce the residential housing stock. DeLuca argued that would not be the case. She said land requirements for single family and two-family developments are less than that for multi-family. A lot size of 7,500 sq ft is required for a single or two family or in other words 3,750 square feet of land per family. A multi-family development requires a minimum of 12,600 sq ft of land per unit, or 4,200 square feet of land. With such little vacant land left, the R-6 is effectively built-out. Re-development of single and two-family homes into multi-family development will in most instances require the combining of lots. We have seen this action transform Milbank Avenue. 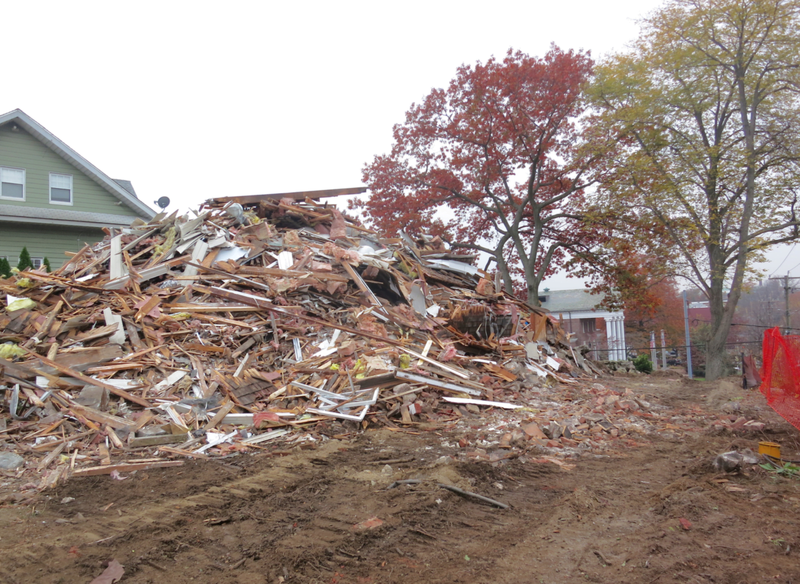 We have also seen that start to happen in Cos Cob. DeLuca said the R-6 regulation changes would not impede addition of residential housing units to the inventory. She said that in 2013, changes moderate income regulations incentivized residential development in business zones, and mixed use developments. Because business zones run from the east corner to the west corner of the town, the burden from traffic, schools and infrastructure is spread out across the commercial corridor. The majority of recent applications submitted to the P&Z for two-family developments have been submitted by LLCs and not by an individual property owners. She said simplifying parking requirements, offering waivers of setbacks, and switching to administrative review instead of special permit for two-family, DeLuca argued people who live in the neighborhoods will be less deterred to improving their properties. At the end of the evening, the Planning & Zoning Commission voted unanimously in favor of making the regulation changes to the R-6 zone.